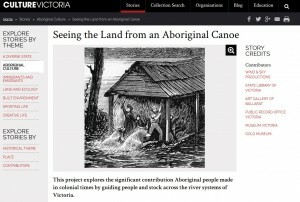 Seeing the Land from an Aboriginal Canoe on Culture Victoria. Media Release Canoe Project Sheds Light on Hidden Aboriginal History. 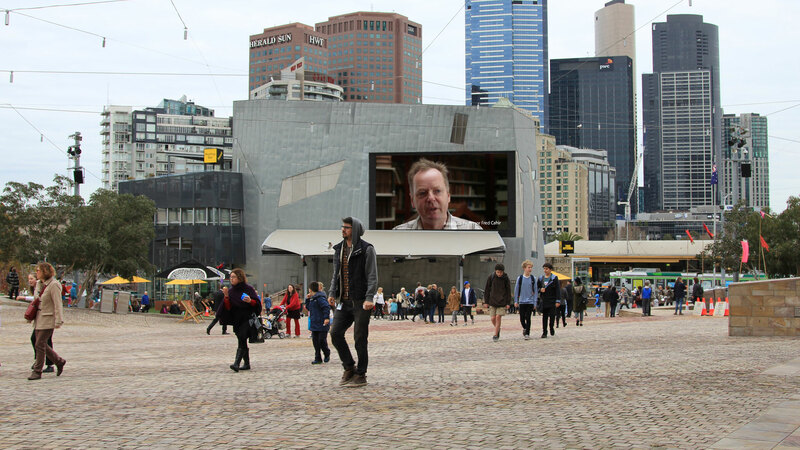 Associate Professor Fred Cahir on the Big Screen, Fed Square, July 2015. Photograph by Jary Nemo. 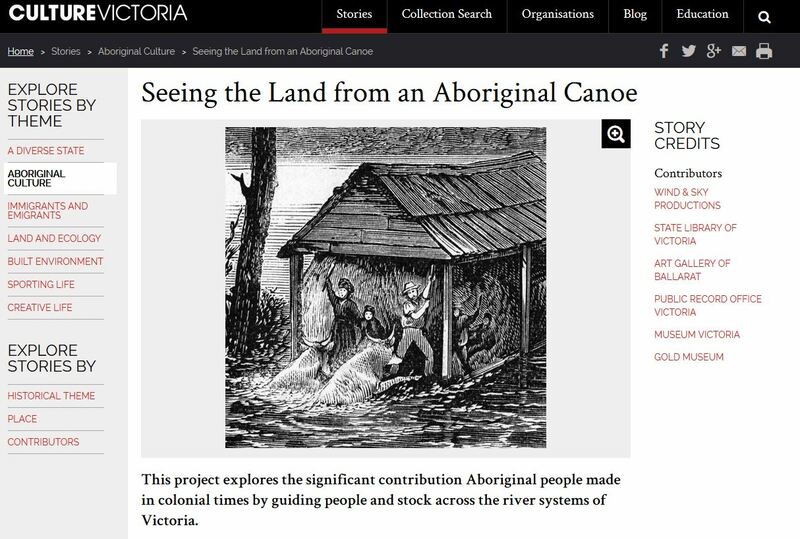 The Culture Victoria project included a full image gallery with archival images, extended audio interviews, and a specifically commissioned documentary. The Culture Victoria story objects included film, audio and images with curatorial text created by Wind & Sky Productions and three specifically commissioned historical essays written by Fred Cahir and Lucinda Horrocks. 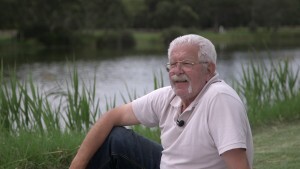 Jamie Lowe, Djabwurrung man. Still by Jary Nemo. Associate Professor Fred Cahir. Still by Jary Nemo. 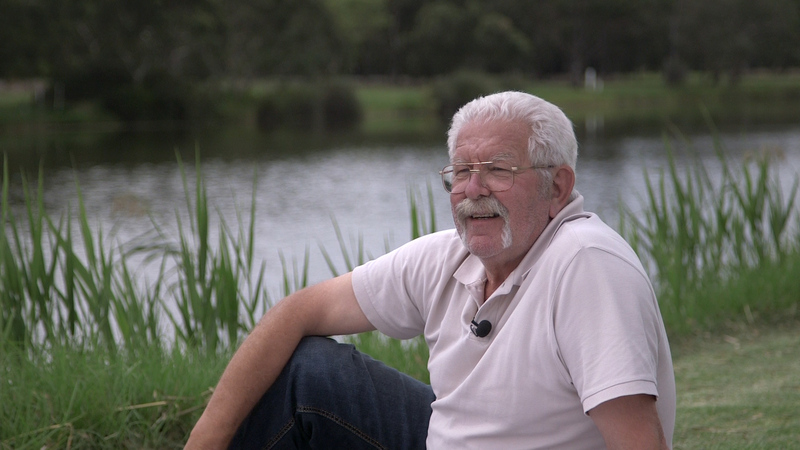 Wind & Sky Productions produced a short documentary film and multimedia gallery for Culture Victoria, curating the online exhibition and producing the text, video, audio and visual content. The project was launched on the 27 May 2015 to mark the beginning of National Reconciliation Week 2015. The documentary film screened at the Big Screen at Federation Square, Melbourne, from the 5-11 July 2015 as part of NAIDOC Week 2015. 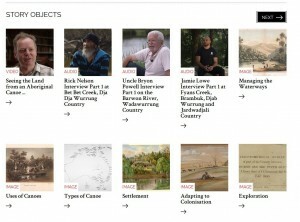 The project features interviews with the historian Associate Professor Fred Cahir and Traditional Owners Uncle Bryon Powell, Jamie Lowe and Rick Nelson, and includes artwork, maps and photographs from the regional and metropolitan collections of the State Library of Victoria, the Art Gallery of Ballarat, Public Record Office Victoria, Museum Victoria and the Ballarat Gold Museum. 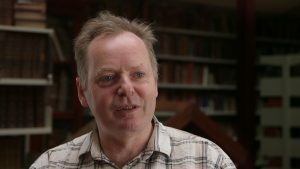 Three short historical essays written by Fred Cahir and Lucinda Horrocks were also specially produced for the project. Museums and Galleries National Awards (MAGNA Awards) 2016, Highly Commended, Indigenous Project or Keeping Place, Level 2. Finalist, Best Cultural Diversity, Setting Sun Short Film Festival, Yarraville, 2017. 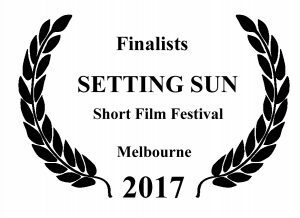 Finalist, Best Documentary Metro, Setting Sun Short Film Festival, Yarraville, 2017. Lucinda Horrocks, ‘seeing the land from an Aboriginal canoe’, Association Magazine, Art Gallery of Ballarat, Autumn 2017, pp.30-33. Fred Cahir and Lucinda Horrocks, ‘Seeing the Land from an Aboriginal Canoe’, Park Watch Magazine, September 2016 No 266, pp 24-25. Lucinda Horrocks radio interview, Breakfast with Dominic Brine, 107.9 ABC Ballarat, 6 July 2015. The Art Gallery of Ballarat and The State Library of Victoria. Uncle Frank Abrahams, Aunty Vicki Abrahams, John Blythman, Lauren Bourke, Maxine Briggs, Leonie Cameron, Charlotte Christie, Ian Clark, Jeremy Clark, Brett Dunlop, Peter Freund, Richard Gillespie, Barbara Huggins, Karmen Jobling, Tracey Manallack, Rosemary McInerney, Julie McLaren, Kimberley Moulton, Gordon Morrison, Grattan Mullett, Uncle Bill Nicholson, Melanie Raberts, Felicity Say, Vic Say, Aunty Loraine Sellings, Jeanette Tasker, Miriam Troon, Roger Trudgeon, John Tully, Uncle Larry Walsh, Simone Werts, John Young, the Art Gallery of Ballarat, the Ballarat Mechanics Institute, Brambuk National Park & Cultural Centre, Dja Dja Wurrung Clans Aboriginal Corporation, Dunolly & District History, the Gold Museum Ballarat, Federation University Australia, the Koori Heritage Trust, Lake Tyers Aboriginal Trust, Museum Victoria, the Public Record Office Victoria, the State Library of Victoria, the Wathaurung Aboriginal Corporation, and the Wurundjeri Tribe Land and Compensation Cultural Heritage Council. This film was created for the Culture Victoria website (www.cv.vic.gov.au) with the support of the Victorian Government through Creative Victoria. 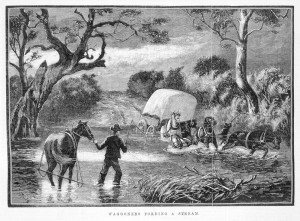 Film production and development took place on the traditional lands of the Djab Wurrung, Dja Dja Wurrung, Jardwadjali, Wadawurrung (Wathaurung), and Woiwurrung peoples. We would like to acknowledge these traditional owners and pay our respects to their Elders, past and present. © Wind & Sky Productions 2015. 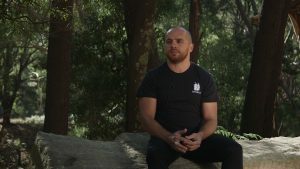 Development and filming for this project took place on the traditional lands of the Dja Dja Wurrung, Djab Wurrung, Jardwadjali, Wadawurrung (Wathaurung) and Woiwurrung speaking peoples. The team was also privileged to consult with and to be granted permission to use images and artwork from Taungurung, Yorta Yorta and Gunai/Kurnai speaking peoples. The project team acknowledges the traditional owners of the lands on which we live and work and we pay our respect to their Elders, past and present. Many people worked on this project and helped make it a reality. We thank them all. Content Producers and Collection Holders.